Dewy is on an adventurous journey, looking for his family. With the help of many colorful animals he discovers that he is unique, but not alone. 'Who are you, orange one?' asks Betsy the butterfly. In the beginning Dewy has no idea. 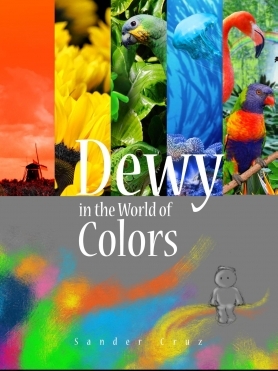 Dewy starts on an adventurous journey, from the lowlands to the tropics, searching for his family. With the help of several colorful animals he discovers that he is unique, but not alone. A picture-book for children to discover colors, animals, emotions and friendship - together with Dewy.